Zebrafish research achieved a significant milestone when the first drug developed through studies utilizing the tiny animal and then put into clinical trials passed a Phase 1 trial aimed at establishing its safety. 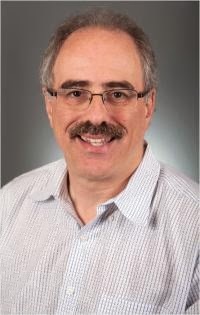 The drug, discovered in the laboratory of Leonard Zon, MD, at Boston Children's Hospital, has already advanced to Phase II studies designed to determine its efficacy. Results of the safety trial were reported recently in the journal Blood. At only six years after Zon's laboratory reported the discovery of the chemical from which the drug is derived, the Phase 1 data underscore the potential of zebrafish research to accelerate the journey from bench to bedside. "The zebrafish is a very good system for evaluating potential drugs. When you discover a new treatment option and can see it go into patients, it's quite a remarkable feeling." Zon said. The drug, which is being developed by Fate Therapeutics under the name ProHema®, is the result of the Zon laboratory's search for a way to improve the success of hematopoietic stem cell (HSC) transplants using umbilical cord blood. ProHema is a chemical derivative of prostaglandin E2 (PGE2) that, according to preclinical and clinical data, might improve engraftment of transplanted umbilical cord blood cells by helping donated cells home in on the bone marrow. Although umbilical cords are an effective transplant source in patients for whom a suitable donor cannot be found, a single umbilical cord rarely contains enough HSCs for a transplant for an adult patient. The current method is to use two cord blood units per transplant, raising the risk that the immune cells that arise from the two cords may start to attack each other. In addition, umbilical cords are expensive and in limited supply. This problem has led Zon, a co-author of the Blood study, and other researchers to search for molecules that could help expand cord blood stem cells or improve the efficiency of cord blood transplants and eliminate the need for cells from a second cord. Zon's laboratory discovered PGE2's properties after screening 2,500 chemicals for their effects on blood stem cell production in zebrafish, a popular and cost-effective research model for stem cell, genetic and developmental research. Not only are zebrafish genes surprisingly similar to human genes, but they can be inexpensively housed at high densities and female zebrafish lay 300 eggs per week, making them a promising vehicle for quickly and cheaply discovering new drugs. Zon and his colleagues reported their initial PGE2 findings inNature in 2007. "We think PGE2 acts as a kind of priming mechanism. It gets the cell set so that it will function better once it is introduced into the recipient's body. ", Zon said. Subsequent preclinical studies showed that PGE2 can trigger a four-fold increase in efficiency of stem cell engraftment, compared to untreated controls, by helping stem cells home more effectively to the bone marrow. The Phase I trial of ProHema, the drug derived from PGE2, was launched in 2009 at Dana-Farber Cancer Institute (DFCI) and Massachusetts General Hospital under the direction of DFCI's Corey Cutler, MD, MPH. It showed that treatment of donated umbilical cord blood stem cells with the drug before transplant was safe. In addition, treated cells could engraft and rebuild a patient's blood system more quickly than untreated ones. "These are very promising results. They suggest that by generating more effective stem cells, we might be able to lower the dose of stem cells needed for a successful transplant. 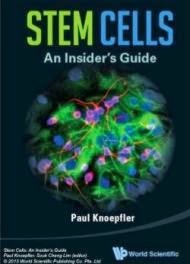 And because this approach takes substantially less time than techniques that increase the number of stem cells prior to transplant, it can easily be performed by most stem cell-processing facilities." Cutler said. Because the Food and Drug Administration has already approved PGE2 for other uses, researchers were able to move quickly into clinical trials. The Phase II study is underway at seven institutions nationwide.